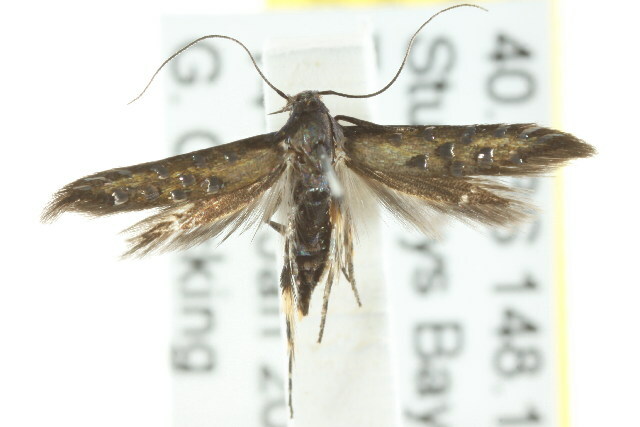 The forewings of the adult moth of this species have brown forewings, with a metallic sheen, each with various scattered silver spots. 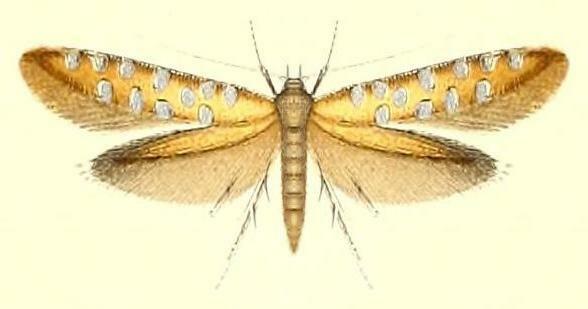 The hindwings are bronze, darkening at the wingtips. The wingspan is about 1 cm. image courtesy of Biodiversity Heritage Library, digitized by University of Illinois Urbana Champaign Library. Volume 22 (1897), p. 369, No. 132.